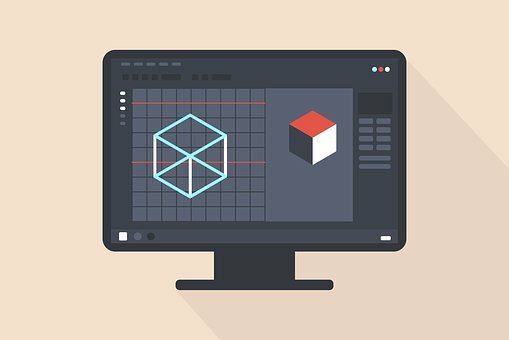 Here’s a useful little plugin for Illustrator 10 users who need to apply 3D extrusions to their objects. Prior to Illustrator 10, KPT Vector Effects provided a good (and perhaps superior) 3D extrude feature. But KPT has fallen into the pit of obsolescence, so this looks like the only game in town. Nakae Software’s FilterIt Illustrator plugin does offer a good 3D transform component, but it does not have extrusions or lighting abilities. The PopArt plugin is quite simple both in scope and use. All it does is apply extrusions with lighting. The interface consists of a few sliders that control orientation on the axes, plus extrusion depth and lighting angle. A small window in the upper-left corner shows how the settings would affect a rectangle. Unfortunately, this is as good a preview as you will get, so achieving the desired effect may take some time. Some users may also find the maximum extrude depth limiting, as it appears to be an absolute depth rather than relative—even though the company calls it “relative”. Thus, adding deep extrusions to large objects will require scaling the objects down, applying the filter, then rescaling to the desired size. The lighting control is also very simple, rotating a single light along a fixed axis. Users of real 3D applications may wish for greater control or the ability to add more and different types of lighting, but the current option will be adequate for most users. One great feature is the ability to save settings and load them for use on new objects. This is a nifty timesaver when you need to apply the same settings across multiple objects and files. 3D PopArt is compatible back to Windows 95 on the PC side. For Macs, it will work with OS 9.2 and up, including OS X. I have encountered a couple of little bugs that you may want to be aware of. First, it seems to randomly require me to keep re-entering my serial number. I’m not sure if this is an OS X related bug or not. Second, Illustrator 10 will crash (at least on the Mac) if you try to apply PopArt to any objects in previously-saved Illustrator files. Vertigo 3D advised me that the solution is to copy the old file’s objects into a new file, and then apply the filter. This is a hassle and hopefully will be fixed in a future update. Aside from the minor bugs and limited control, I can still recommend PopArt 2.0. For designers who need to do simple 3D extrusions in Illustrator, there is no competition that I’m aware of. For the price, it’s a great deal.